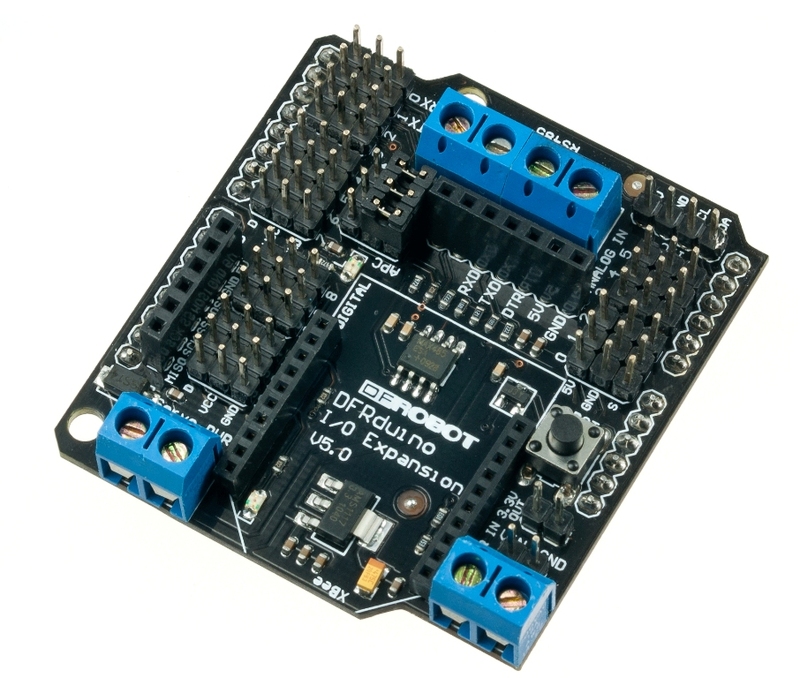 The DFRobot IO expansion board is evolving, this latest V5 IO expansion shield is now supporting Xbee. 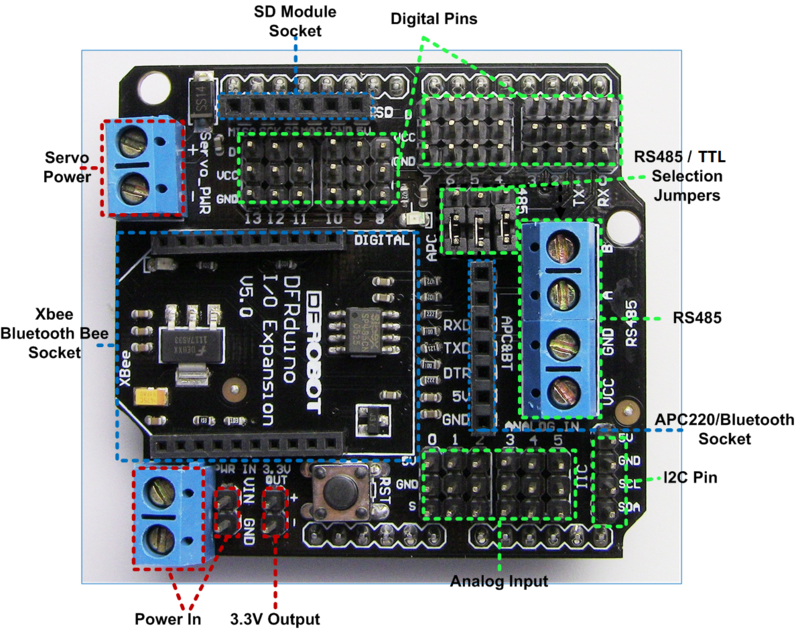 It combines our popular Xbee shield with IO expansion shield(V4). It even supports SD card which provides the ultimate functional expansion for Arduino so far. As its predecessor, it supports RS485, APC220, Bluetooth communication, servo control. V6 uses a colored pin, corresponds to the thread color with digital/analog sensors to prevent reverse polarity or incorrect insertion. 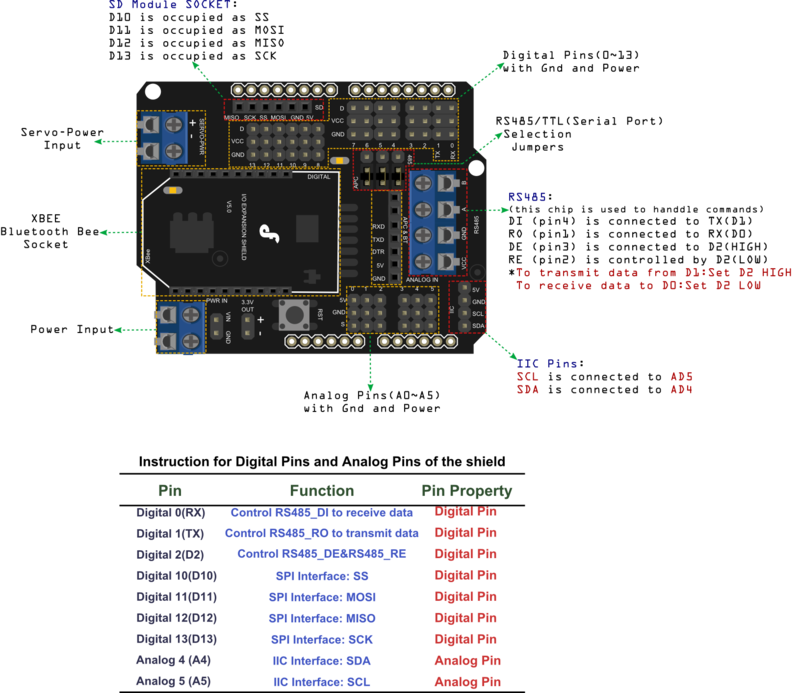 V6 version fully supports the latest Arduino R3 PIN. RS485, removed "enable control" as an automatic half-duplex. Add a RS485 bus termination resistor selector switch. Serial selection jumper pin changed to switch (XBee, RS485, Download mode) to avoid conflict with each other. The chip's DE (output enable) pin (3) is connected (via a resistor) to the Arduino's Digital Pin 2 - this is active high. This DE pin is also connected to the chip's RE bar (receiver enable) pin (2) and therefore controlled by the Arduino's Digital pin 2 too - this is active low. So, to transmit data from Arduino Digital Pin 1 you need to take Digital pin 2 high, and to receive data to Arduino Digital Pin 0 you need to take Arduino Digital pin 2 low. 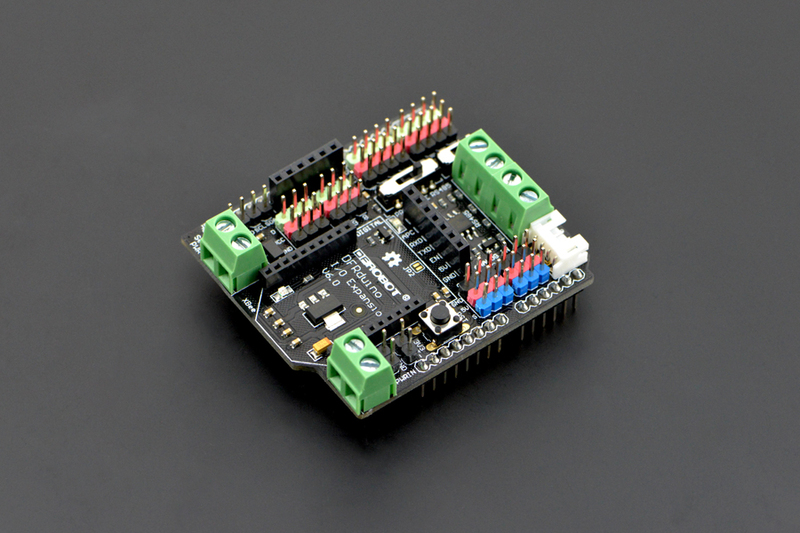 Get Gravity: RS485 IO Expansion Shield for Arduino from DFRobot Store or DFRobot Distributor.